Richard Corbett today won a place on Labour’s ruling body after being elected head of the party’s group in Brussels. Corbett, who represents Yorkshire and Humber, was chosen as leader of the European Parliamentary Labour Party (EPLP) this afternoon. He joins Labour’s national executive committee by virtue of his new role on the EPLP. The longstanding MEP replaced Glenis Willmott, who stepped down as head of the group and also from the European parliament, earlier this month. Today Corbett, a regular columnist on LabourList, attacked the Tories’ handling of Brexit, following another day of confusion between David Davis and Theresa May over whether the Commons would be granted a vote on the final terms of any deal. 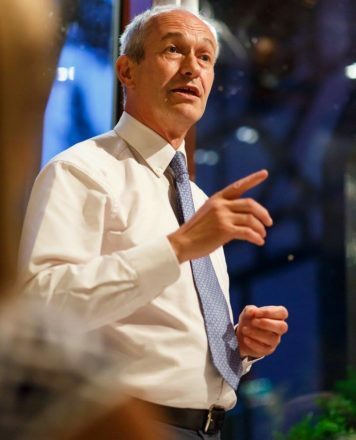 “I am greatly honoured to have been elected leader of the Labour Members of the European Parliament today by a vote of my peers,” Corbett said. The election of Corbett comes as nominations open for the additional slots on Labour’s NEC. Three new places are being added to represent consituency parties as part of an agreement between Jeremy Corbyn and the committee itself.